What is an Identity Equation? 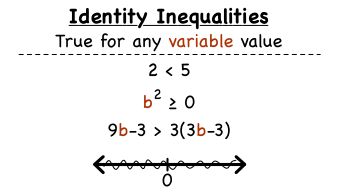 Identity equations are equations that are true no matter what value is plugged in for the variable. If you simplify an identity equation, you'll ALWAYS get a true statement. Learn about identity equations in this tutorial, and then create your own identity equation. Get creative! The possibilities are endless!